Before we knew about evolution, a revolutionary voyage set sail. 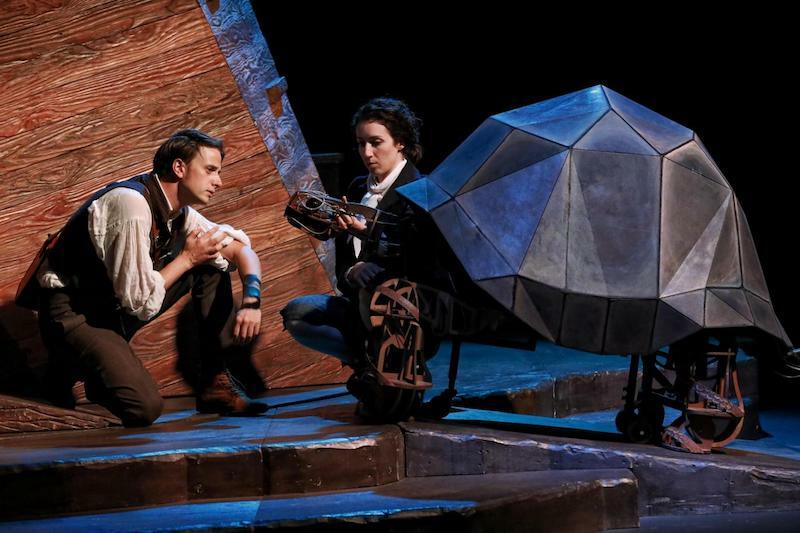 It has just been announced that the Natural History Museum will be creating a special theatre space for the Darwin-themed show, The Wider Earth. The new venue will feature a seating capacity of up to 357 and marks the first time that the museum has created such a space. The Wider Earth is based on the life of Charles Darwin and will be staged in the museum’s Jerwood Gallery near the Darwin Centre. There is a cast of seven characters and 30 puppets who explore the wildlife that Charles Darwin encountered throughout the course of his five-year voyage on the HMS Beagle. The show was written by Dead Puppet Society's David Morton and has already enjoyed sell-out runs in Brisbane and Sydney, as well as several workshops at the Lincoln Center in New York City. It features a score by Lior and Tony Buchen. The Wider Earth, which tells the gripping tale of ‘one of the most important voyages in scientific history’ (Clare Matterson) is booking from 2 October 2018 until 30 December 2018. Tickets are on sale now. Don’t miss the European premiere of this critically acclaimed production! Witness the voyage that changed Darwin’s life and the scientific community! Purchase your tickets to The Wider Earth here.